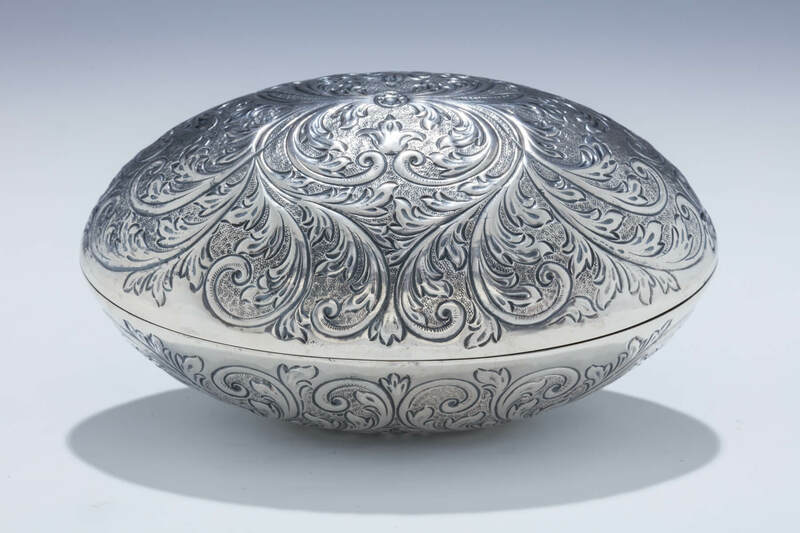 A RARE AND LARGE OVAL SHAPED ETROG BOX. Vienna, c. 1890. Hand engraved with swirling and flowing decorative engraving. 6.7” long x 4.25” wide.